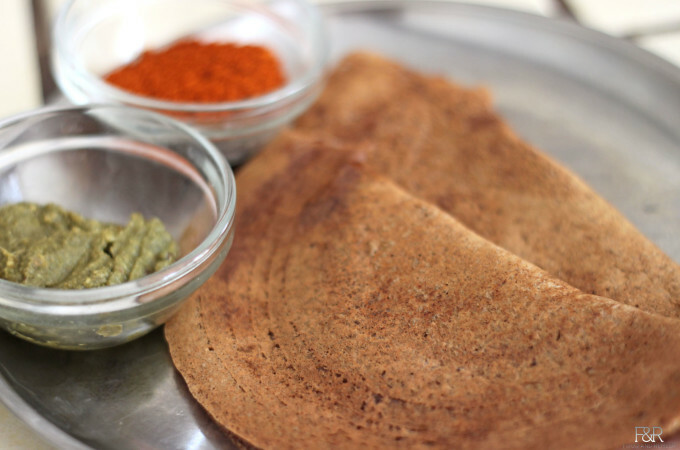 Ragi dosa is one of the many different varieties of dosas you can find in Karnataka. This is an ideal gluten free breakfast. Health benefits of Ragi: Ragi is rich in calcium, iron and fiber. It also contains phytochemicals, which aids in slowing down the digestion process. Ragi's high levels of niacin help in increasing HDL cholesterol while lowering Triglycerides.